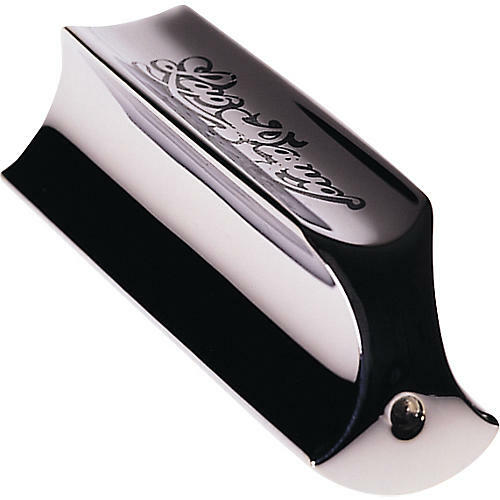 The Dunlop Lap Dawg Chromed Brass Tonebar has a larger radius that adds sustain and vibrato. The bar's ergonomic body offers a more comfortable grip and side angles that improve speed and clarity for hammer-ons and pull-offs. 3/4" diameter. 2-3/4" length. 0.34 lb.